With specialized home appliance service expertise, we fix and maintain household units in the Vaughan area in Ontario. There is a professional technical team at our Appliance Repair in Vaughan and our pros are always ready to offer assistance. Is there a problem with the fridge, oven, dishwasher, or microwave? Do you want washer and dryer service or installation? You can count on us whether you need same day appliances repair or new installations. You can depend on our troubleshooting skills, thorough maintenance service, and quick response when you want our help the most. As home appliance repair specialists, we can help you with any problem. Our company is well equipped and provides service in Vaughan, ON. Whether your appliances are gas or electric powered, there would come a time when they will break down. And when this time comes, you can depend on our quick service. Appliance parts wear, break, corrode, or burn out. In this case, we replace them. Our appliance technician will carry a number of replacement parts when he will come to troubleshoot, diagnose, and fix problems. And we can repair any appliance in your domestic environment. Our kitchen appliance technician can fix all major appliances in the most visited place in your house. Need refrigerator repair? Is the oven not working? Want microwave repair experts? Is the dishwasher leaking? Do you want master pros in dryers and washers? Rely on our quick response and efficient appliance repair service. We are equally efficient when it comes to the maintenance of your appliances. 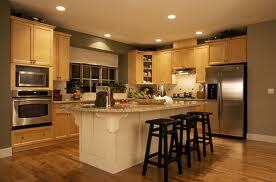 Call Appliance Repair Vaughan if you want to routinely check the units in the kitchen and laundry room. We inspect their parts, level them, fix problems, and do the necessary repair work to ensure your appliances will serve your needs without giving you any trouble. And our appliance service technicians are also available to assist you with the installation of your new electric or gas range, stove, washer, dryer, dishwasher, or oven. Give us a call whenever you need professional, expert service. We’ll be happy to serve your local needs.